One term that has NOT proven useful in this is "CRRC". As it turns out, a number of organizations use this acronym. 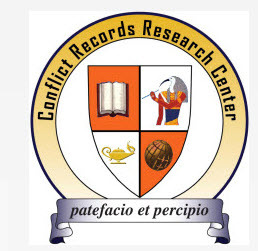 There is, for example, the Conflict Records Research Center at the National Defense University, which itself is the center for professional military education in the United States. That CRRC says that its "mission is to facilitate the use of captured records to support research, both within and outside the government." Next to keeping Saddam Hussein's records, CRRC also serves more basic tasks, such as keeping your roof from getting too hot. This CRRC says that it "maintains a third-party rating system for radiative properties of roof surfacing materials." It's based in California, and has been rating roofs since 1998. We would like to think that this CRRC also is about numbers. Similarly in California is a CRRC that at first sounds as if it's dedicated to recycling. Actually, it's an association of companies in the waste industry, and, as such associations do, both serves their members with services, and lobbies on their behalf. Started in 1958, it's been around for a while. And then there's another American association. 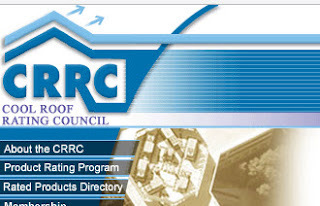 Austere in its Internet design and logo, it also holds the www.crrc.org address. Since they had that .org domain, we had to get a much longer Web address way back when. Based in New Jersey, the Citizen's Rifle and Revolver Club is the oldest CRRC we could identify, and was started in 1938. Between centers, councils, clubs and industry associations, we also found a more cuddly version of CRRC, this one in the United Kingdom. "Our long term Rabbit residents enjoy the freedom of quiet, purpose built, predator proof enclosures to roam as they wish. [...] They have the chance to wash each other, and play, and spend a lot of time in rows next to each other just watching the world go by." That doesn't sound like what we do everyday, but it's a nice group to share the search term "CRRC" with. Any search terms you try to keep track off? Try Google Alerts by clicking here. Internet use is on the rise worldwide, and while internet penetration is increasing the world over, in some countries still relatively small shares of the population use it. While only about a third of the population of Georgia reported using the internet at least occasionally in 2009, today, slightly over half of the population is online. This blog post looks at the trends in internet usage in Georgia from 2009 to 2015 by age and settlement type, using the CRRC’s Caucasus Barometer survey (CB) data.